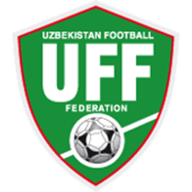 Match ends, Iran 1, Uzbekistan 0. Second Half ends, Iran 1, Uzbekistan 0. Majid Hosseini (Iran) is shown the yellow card for a bad foul. Substitution, Uzbekistan. Islom Kenjabaev replaces Jaloliddin Masharipov. Substitution, Uzbekistan. Andrey Sidorov replaces Zabikhillo Urinboev. Substitution, Uzbekistan. Khurshid Giyosov replaces Odiljon Khamrobekov. Substitution, Uzbekistan. Jasurbek Yakhshiboev replaces Azizbek Turgunbaev. Substitution, Uzbekistan. Islomjon Kobilov replaces Rustamjon Ashurmatov. Substitution, Uzbekistan. Sardor Sabirkhodjaev replaces Javokhir Sidikov. Substitution, Iran. Vahid Amiri replaces Karim Ansarifard. Substitution, Iran. 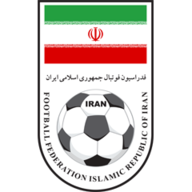 Milad Mohammadi replaces Mehdi Taremi. Substitution, Iran. Pejman Montazeri replaces Ehsan Haji Safi. Substitution, Iran. Seyed Hossein Hosseini replaces Amir Abedzadeh. Substitution, Iran. Seyed Jalal Hosseini replaces Vouria Ghafouri. Substitution, Iran. Saeid Ezatolahi replaces Rouzbeh Cheshmi. Second Half begins Iran 1, Uzbekistan 0. First Half ends, Iran 1, Uzbekistan 0. Goal! Iran 1, Uzbekistan 0. Rouzbeh Cheshmi (Iran) header from the centre of the box to the centre of the goal. Assisted by Ehsan Haji Safi.